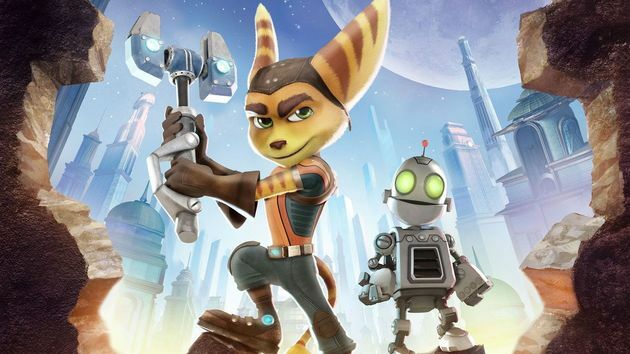 Movie: Ratchet and Clank Movie Coming Soon for Me and You! Hey there my fellow PlayStation gamers, Bre here with another awesome update about the new and upcoming things from Sony to us. This one is to tell you about the new movie “Ratchet and Clank” which has been confirmed for release this month on both DVD and PlayStation store. The movie is based around the original game is set around the titular duo embarking on an adventure together to a place called thwart chairman Drek with you as the hero trying to save the day by saving the galaxy. The movie is set for release on PlayStation Store August 22nd, and on DVD a week later on August 29th. If you like the game, we highly recommend checking out the movie, and even if you don’t give it a try anyway. You never know what may appear lame to you once, may seem cool to you if given a second chance. So leave a comment below, telling us what you think. Until next time gamers, keep on playing. Re: Movie: Ratchet and Clank Movie Coming Soon for Me and You! I've heard this movie isn't very good, but I want to see it anyway. This article is FINALLY live! Sorry for the delay, health issues are a drag. @Ragnarok That's hardly surprising lol.